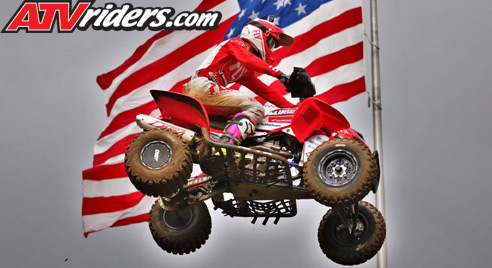 Salisbury, NC (7/26/2018) - Rockford Fosgate / TiLube / Honda’s Joel Hetrick finished second overall during the AMA Pro ATV Motocross National Championship race at RedBud MX in Buchanan, MI. The podium effort allowed him to extend his lead in the championship to 10 points. Teammate Haedyn Mickelson equaled his best finish of eighth in the Pro race and he is now at the top of the rookie of the year standings. Rain on and off all weekend challenged Hetrick. After winning the Top Qualifier Award, Hetrick snagged the holeshot in the first moto and finished second. At the beginning of the second moto, heavy rain hit the track. After contact with another rider, Hetrick made it back up to second, but with standing water on the track, he wisely stayed in position and didn’t attempt a challenge on the leader. RedBud is notorious for its rough conditions in the rain. 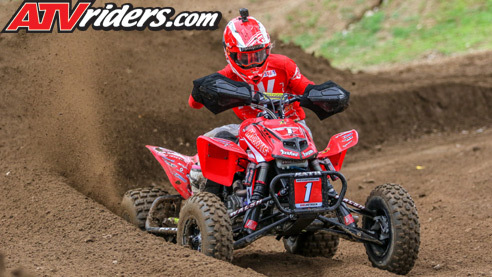 Hetrick navigated the deep ruts with help from his Maxxis Tires and Elka Suspension tuned by Jay Gobel. Hetrick leaves RedBud with a 10-point lead in the championship with just one race left. He needs to finish third in both motos at the final race to secure his second consecutive championship. Hetrick is making sure he does everything to prepare for the next race at the Loretta Lynn Ranch. Mickelson made some early passes in the first moto, and he finished 10th. In the second moto, he navigated the mud and rain to finish eighth and score an eighth overall, equaling his best finish, earned at the last event. 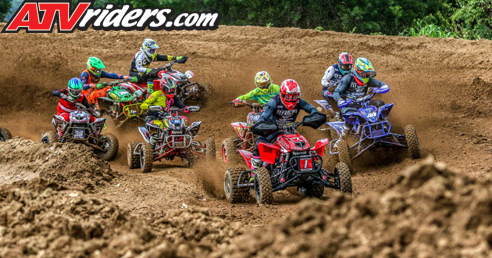 Hetrick and Mickelson will be back in action when the Rockford Fosgate/TiLube/Honda team heads to season finale at the Loretta Lynn Ranch in Hurricane Mills, TN August 11-12.